The microphysics of ice crystals are thoroughly described in Fletcher (1971) and Hobbs (1974). Mellor (1978) and Weeks and Ackley (1982) discuss many aspects of the macroscale behavior of snow and sea ice. Fletcher, N.H. (1971). 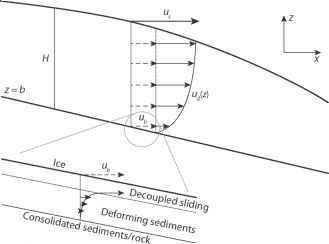 Structural aspects of the ice-water system. Reports on Progress in Physics, 34, 913-994. Hobbs, P.V. (1974). Ice Physics. Oxford University Press, Oxford, UK, 837 pp. Libbrecht, K.G. (2005). The physics of snow crystals. Reports on Progress in Physics, 68, 855-895. Mellor, M. (1978). Engineering properties of snow. Journal of Glaciology, 19 (81), 15-66. Weeks, W.F., and S.F. Ackley (1982). The Growth, Structure, and Properties of Sea Ice. CRREL Monograph 82-1. U.S. Army Corps of Engineers, 130 pp.